A 40th anniversary is cause for celebration! It’s time to reflect on how we started, where we’ve been, how far we’ve come and where we are going. Throughout the years, our guild members have always been in a state of learning and sharing what we have learned with others. It’s remarkable how much we have accomplished together in only forty years! 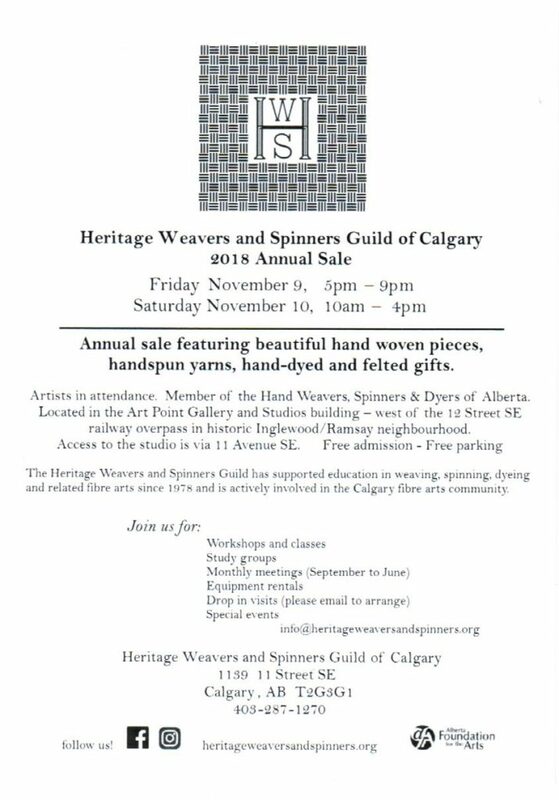 As an active fibre arts guild, the Heritage Weavers and Spinners of Calgary has created a wide variety of visual art. We have seen the best of ourselves reflected in the vast amount of work that our membership has produced since its inception. Using work from our own guild archives as inspiration, we have challenged ourselves to look at these “vintage” archival pieces with fresh eyes – and using our accumulated skills and design aesthetics, to then translate them into something new. These contemporary reinterpretations inspire us to carry forward while connecting to the works of kindred-spirit members of our past. 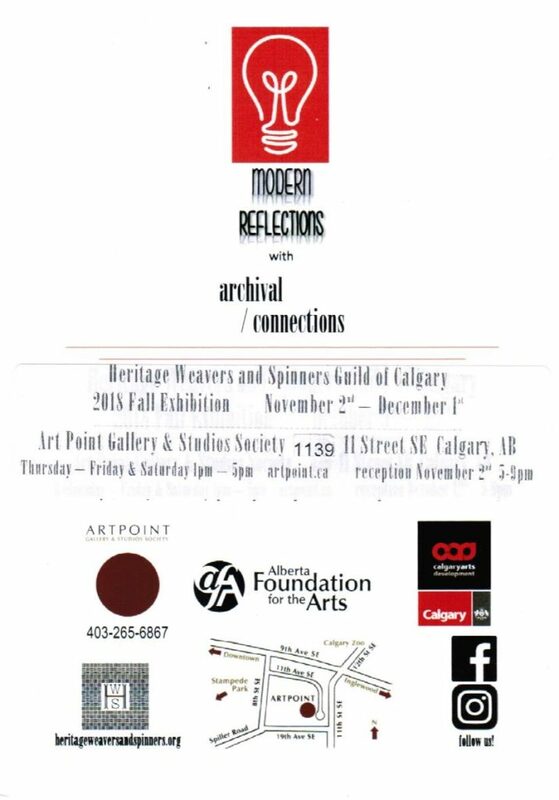 Opening reception is for Members and Invited guests – thank you. 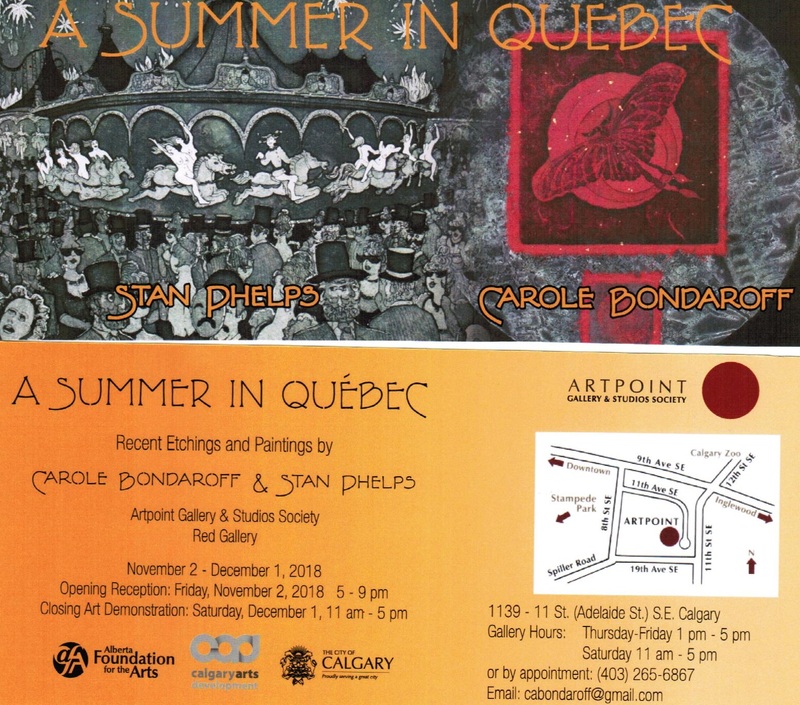 Etchings and Paintings by Carole Bondaroff and Stan Phelps. and a series of experimental, multi-coloured etchings by Carole Bondaroff, hand-printed at Atelier de L’Ile, in Val David. 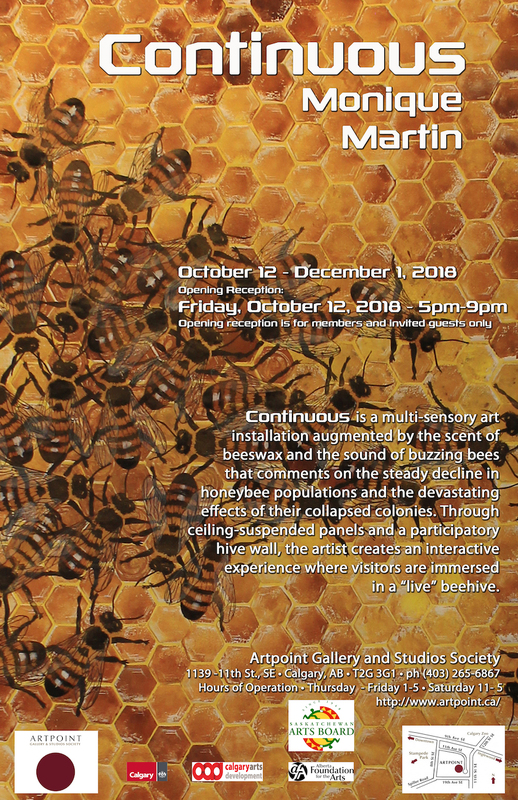 Opening reception is for Members and Invited guests. This entry was posted in Past Exhibitions by admin. Bookmark the permalink.